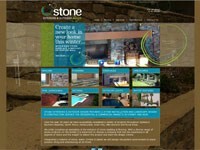 At Chilli Websites we can provide a custom designed website for your business. We can also incorporate a Content Management System into the site for you so that you can self manage your web site in the future - helping to reduce costs to your business. 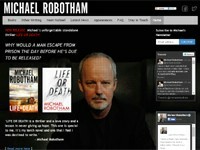 Michael Robotham’s psychological thrillers have been translated into 22 languages and published in more than 50 countries. 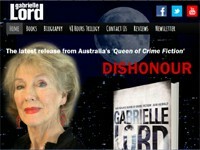 He is a twice winner of the Ned Kelly Award for Australia’s Crime Novel of the Year and has twice been twice shortlisted for the UK Crime Writers Association Steel Dagger and once for the CWA’s acclaimed Gold Dagger award. For over twenty years DCL Recruitment has been listening more and generalising less. They recognise that every employment opportunity is unique, so they invest valuable time in fully understanding your needs, the culture of your company and your business challenges; to help you find the ideal blend of skills, experience and character for each role. At DCL they have a straightforward goal: to find the perfect match for every position. Australian Timber Laminators (ATL) is an Australian owned and operated company established in 1989 in the Sydney suburb of Brookvale. With more 20 years experience of manufacturing only solid timber products we have developed specialist skills that we consider to be unmatched in the industry. 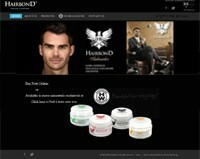 HairBond is now for the first time available in Australia. Queenstown Schoolies is an adventure bound website for Schoolies heading to New Zealand. Get your adrenaline pumping during the day with jet boating, bungy jumping or skydiving and by night party at a pub or dance the house down in a night club. Stone Exteriors & Outdoor Design Specialise in all aspects of interior and exterior design & construction for residential properties. 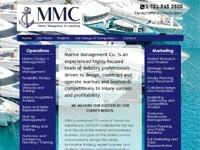 They offer a flexible portfolio of services that are carefully tailored to each clients unique requirements. The Arthur Group is a locally based, international consulting company specialising in Project Management & its related disciplines. As a Registered Training Organisation. 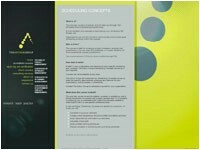 The Arthur Group delivers robust, customised, accredited courses and shorter non-accredited courses. 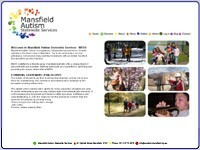 Mansfield Autistic School is a registered, independent special school, located centrally in the Rural Town of Mansfield. The local community is not only picturesque. but provides many facilities for students with an Autism Spectrum Disorder (ADS) and their families. 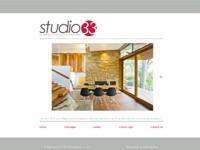 Studio 33 is owned and operated by Richard and Simon Whitbread. As professional photographers, we provide a premium service to every client by producing high quality images. Located on the Northern Beaches, Richard and Simon will deal with you directly to provide a simple package that is effective to your business needs. 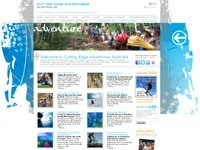 Cutting Edge Adventures Australia has a great selection of domestic and international adventure holidays. Their experienced and professional team are committed to providing you a safe, enjoyable and memorable trip. Based on the Northern Beaches of Sydney, New South Wales, Cutting Edge specialises in providing small group adventure holidays and sporting event packages around the world. 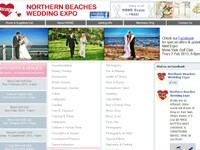 NBWE & NSWE are an internet-based wedding services network committed to marketing wedding services for the benefit of suppliers and consumers in the wedding industry of the northern beaches and north shore areas of Sydney, Australia. 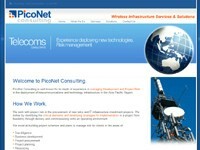 PicoNet Consulting is well known for its depth of experience in managing Development and Project Risk in the deployment of telecommunications and technology infrastructure in the Asia Pacific Region. 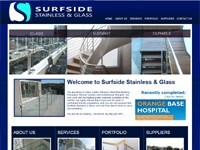 Surfside Stainless & Glass specialise in Glass, Cable, Stainless Steel Balustrading, Frameless Shower screens and Architectural Skylights. 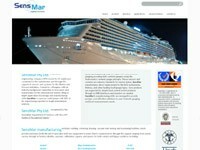 We only work with the highest grade materials available on the market. Our highly trained team have over 50 years of combined industry experience, and you can rest assure that Surfside will work from start to finish to solve your problems.